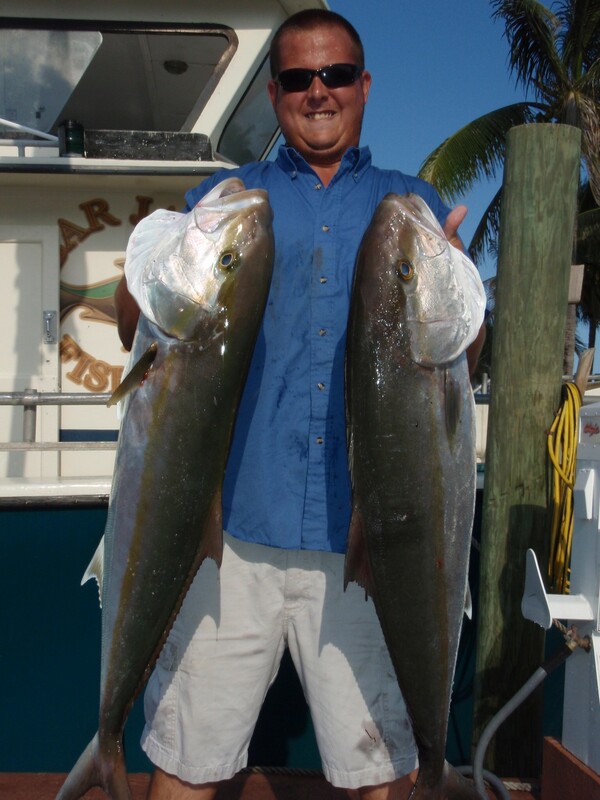 A nice pair of 30 plus pound Amberjack will tax your tackle and give your muscles a good work out. 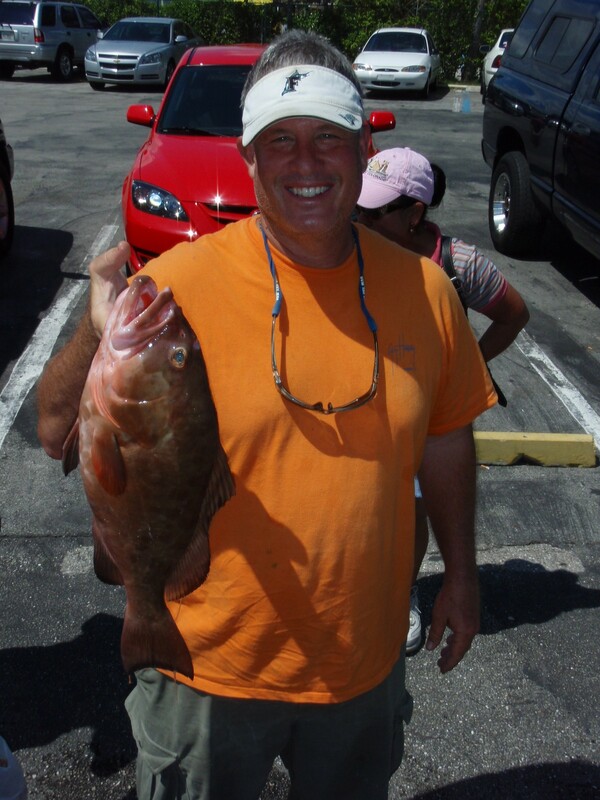 Mark landed these heavyweights during an afternoon trip aboard the Lady K and while fishing sardines near the bottom. 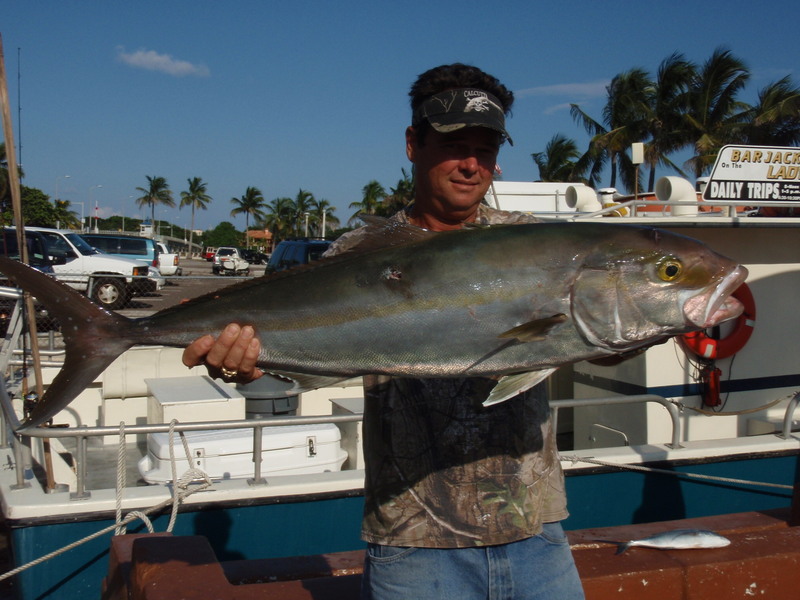 Rob nabbed this big Amberjack also while fishing a sardine near the bottom over a local area reef and finally broke in his new fishing rod on a large fish. Great work by all the anglers who worked hard to land these fish! A great tasting Red Grouper came aboard the Lady K during a recent morning trip by VIP angler Danny, who went home with some wonderful eating fish for lunch. 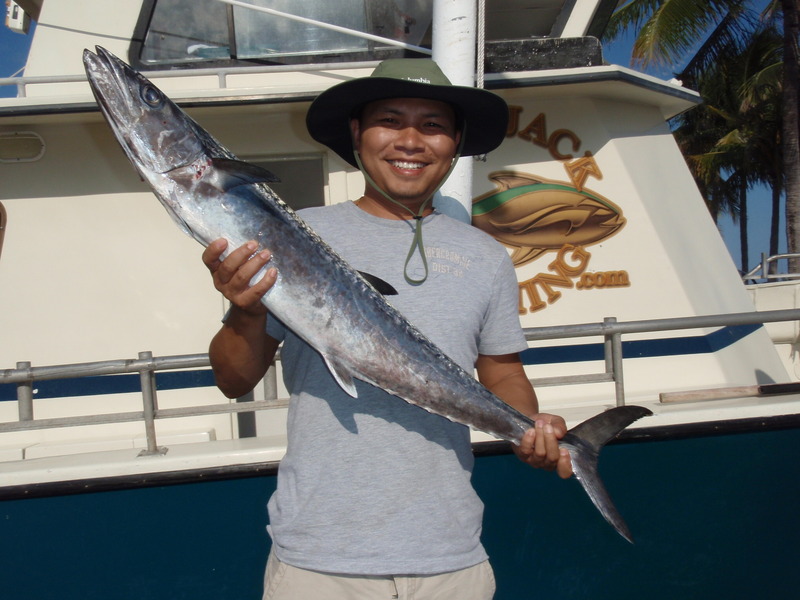 Although not very plentiful this time of the year, a few King Mackerel have been landed this week by lucky anglers fishing both the morning and afternoon trips. Anglers have also been catching Vermillion snapper, triggerfish and there have also been a few Sailfish hook-ups to add to the mix. During this time of the year the boat has very light crowds so it’s perfect for those anglers who don’t wish to fish a crowded boat. Come on out and have some fun day fishing aboard the Lady K!